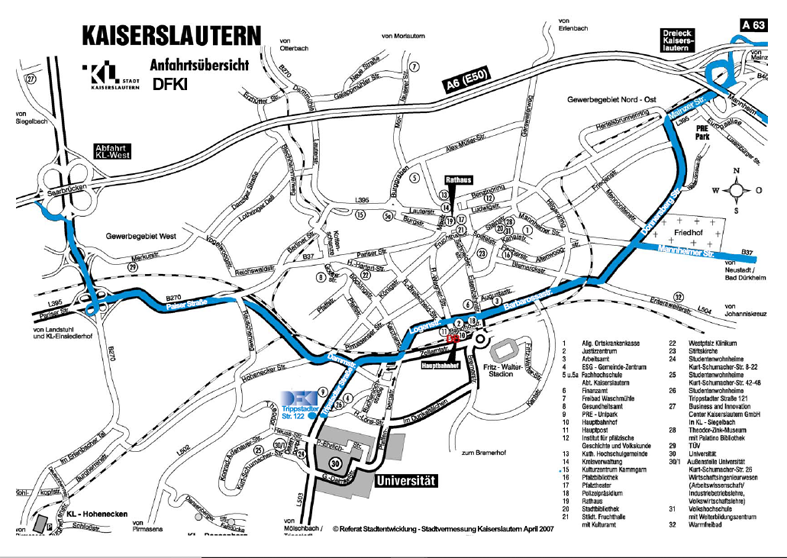 Leave the freeway at the exit towards “Kaiserslautern Centrum”. At the intersection turn left into Donnersbergstraße. At the next intersection, continue straight on to the intersection Entersweilerstraße. Now turn right and follow the Entersweilerstraße into the Barbarossastraße and Logenstraße. Past the head postal service and go further straight ahead. Then turn left into the Trippstadter Straße, pass through the train underpass and turn right again. At the next traffic light go straight on. 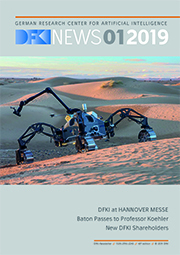 The DFKI building appears after about 800 ms on the right side. Destination: Trippstadter Straße 122, vis-à-vis Gerhard-Hauptmann-Straße. 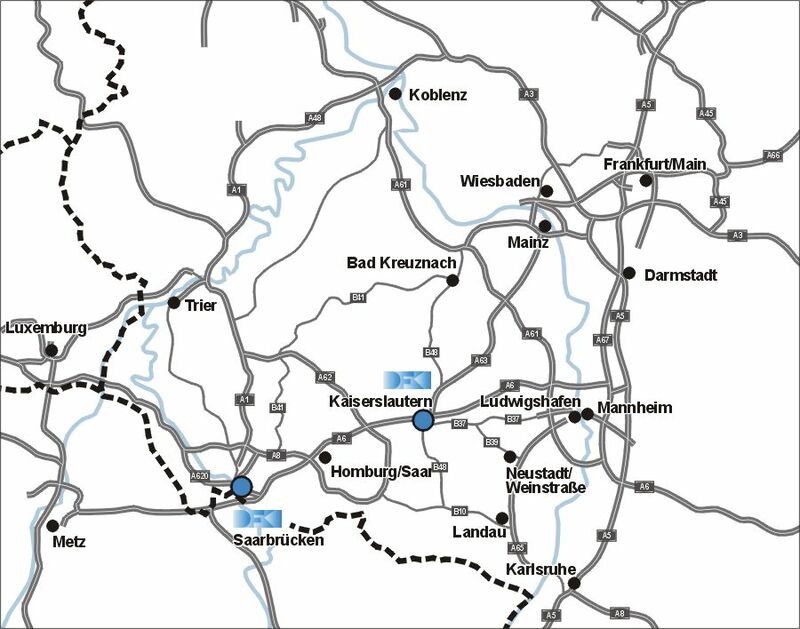 Leave the freeway A6 at the exit towards ”Kaiserslautern West”. Continue along B270 by following the sign “Universität” and turn right directly after crossing the bridge. Follow the B40 for about 2 km (you pass 2 traffic lights). Then turn right into Brandenburger Straße towards Stadtmitte/ Universität. Continue along Brandenburger Straße until you turn right into Trippstadter Straße. The SWK website always contains the latest timetables (This way to the SWK website). Enter “Fraunhofer Zentrum, Kaiserslautern” as the destination stop. 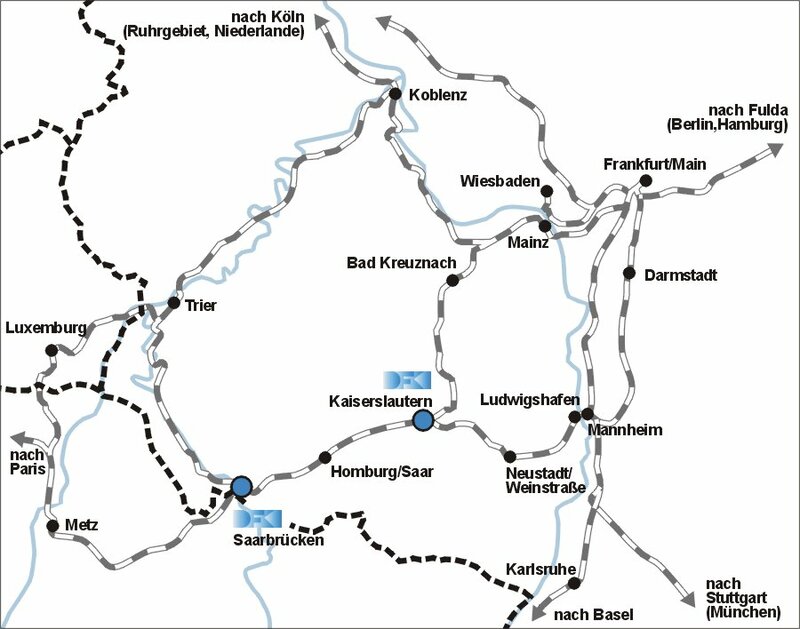 The online timetable of the Deutsche Bahn also provides information about bus and train connections. Information on hotels can be found on the website of the city of Kaiserslautern.